It has been a good summer for painting. Inspired by a walk in Voyageur Provincial Park in June, I started this painting and worked on it when I could throughout the summer months. I still have changes to make, but have decided to let it sit for a while, think about it, and finish it later. It has been a lot of fun to work on. My studio is unheated so I can only work when it is warm enough. 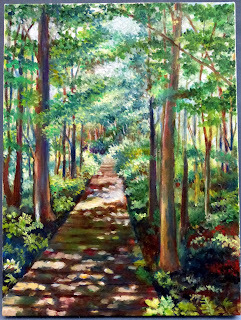 I started another painting quite recently to make use of the late summer days. 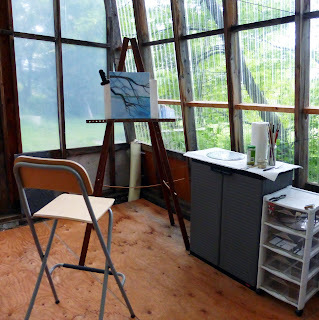 I hope we have a sunny and pleasant autumn so I can continue to paint for another month or two. This painting is already starting to be fun to work on, too! 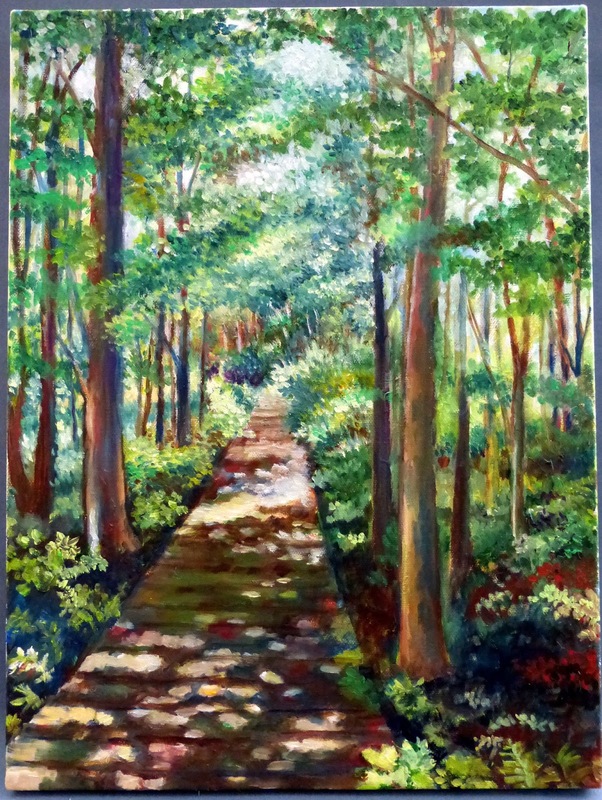 Love the painting of the walk in the woods! Delightful.